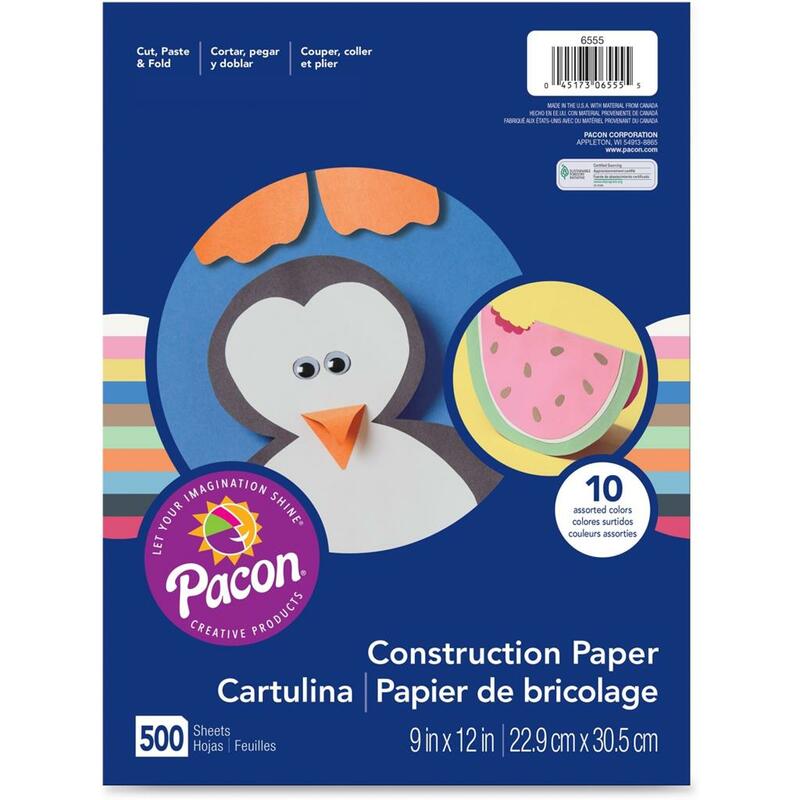 Lightweight Construction Paper is perfect for beginner arts and crafts projects. Create fun projects and practice cutting, pasting and folding. Assorted colors include Scarlet, Orange, Brown, Pink, Blue, Sky Blue, Green, Yellow, Charcoal and White.